Fire and smoke alarms keep your home and business safe in the unfortunate event of a fire. 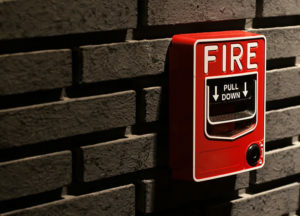 At Intelli-Tec Security Services, we can provide you with expert fire alarm system installation and smoke detection systems. In addition to decreasing the chance of property damage caused by fire, your alarm will provide you with the peace of mind that your property and family will always be safe in any situation. We offer the most advanced automatic smoke detection systems that can alert at the first sign of smoke or fire. We custom design your system and provide you with professional installation in accordance with the highest levels of safety and protection. Using innovative methods and state-of-the art equipment, Intelli-Tec’s team of professionals can provide the most effective alarm systems to safeguard your property. 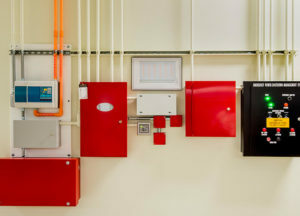 In addition to the design and installation of fire and smoke detection systems, we can also assist you with the performance of ADA upgrades, testing and inspections, and removing code violations. With Intelli-Tec, all of your alarm system needs will be covered by an experienced and professional team.